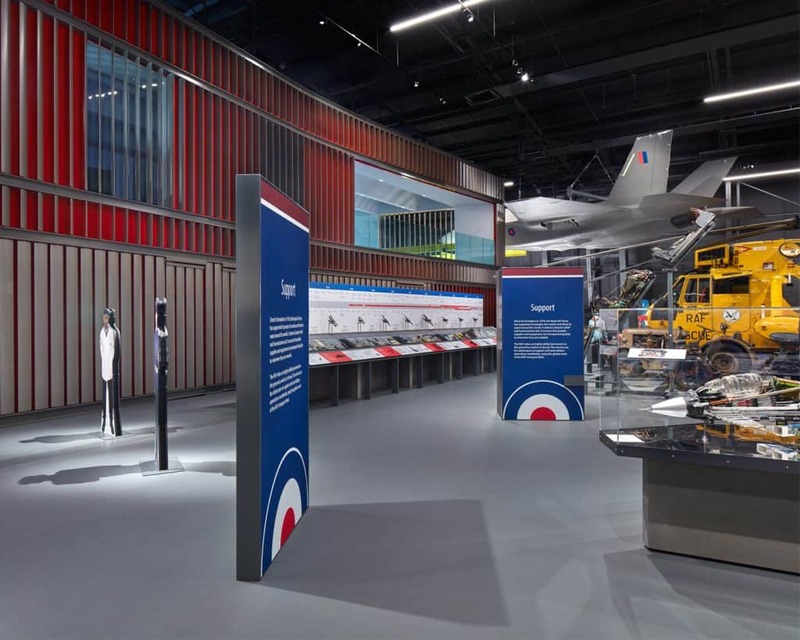 Celebrating the RAF Centenary in 2018, this project creates new exhibition and visitor facilities, alongside landscaping that enhances visitor understanding of the museum's heritage, and the site's connections to surrounding communities. 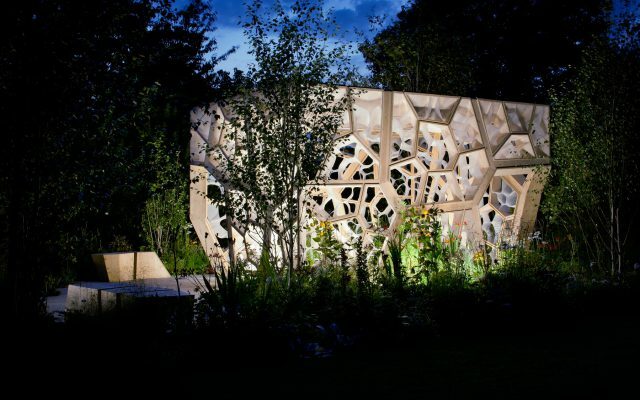 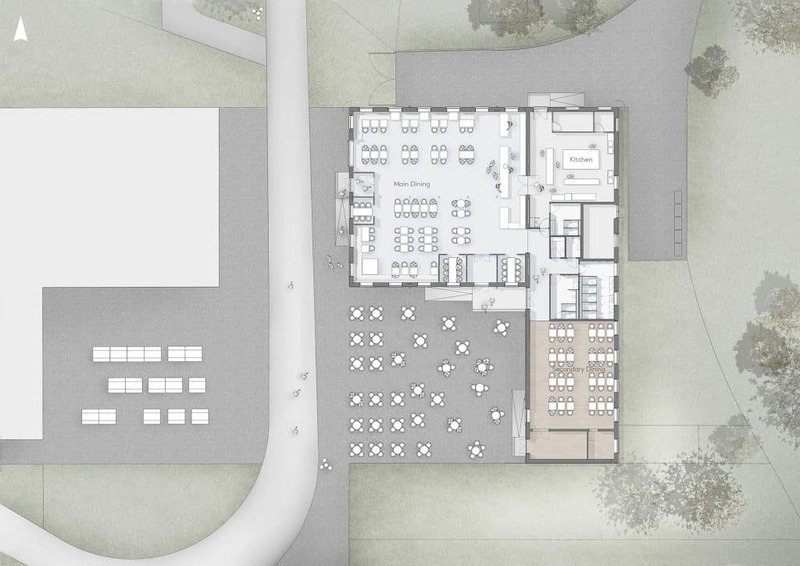 An ambition to create a high quality public realm informed our approach to the brief and transformation of the site as a whole. 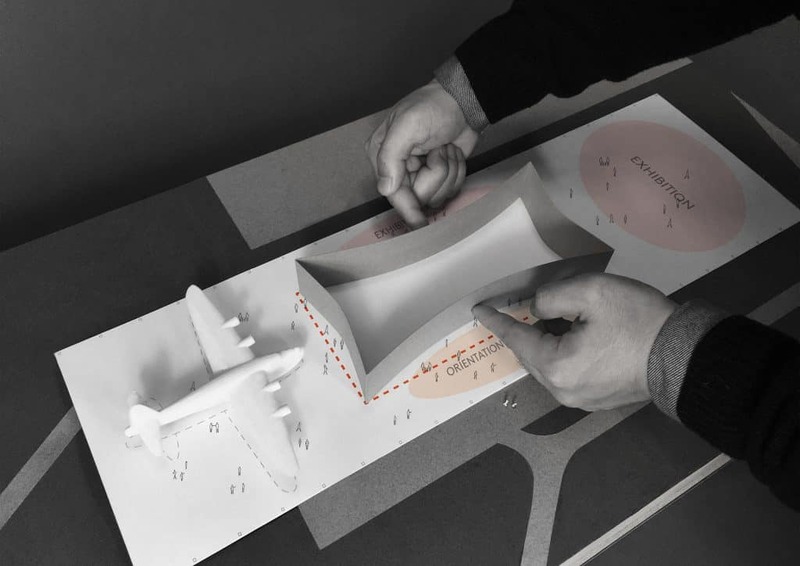 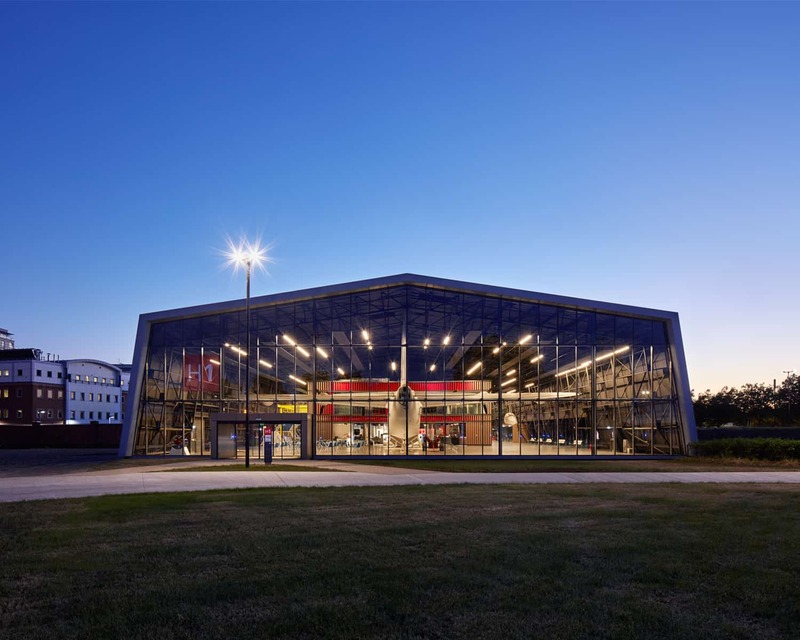 Spanning across an 8-hectare site, the primary focus of this redevelopment is for the RAF Museum to reconnect with its local community and wider public, alongside the gift of an expansive green public space within a dense residential neighbourhood. 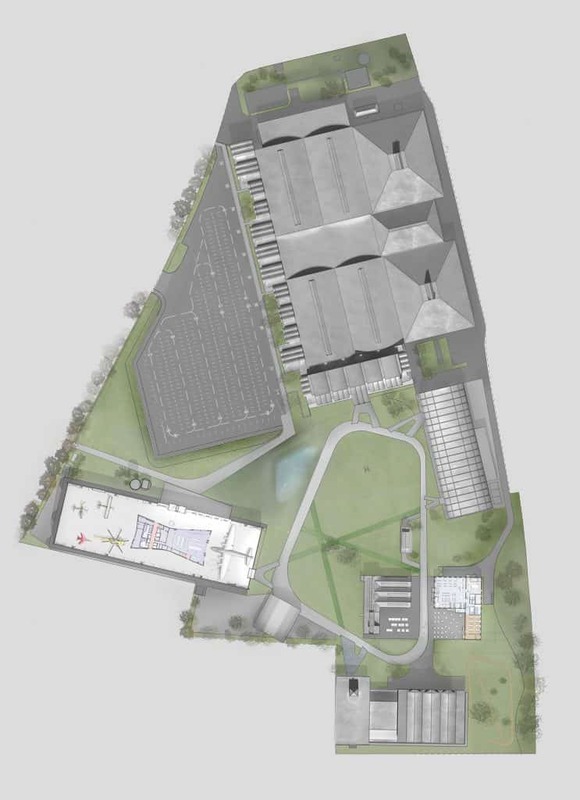 Establishing a strong focus on landscaping by relocating the car park has created a green space at the heart of the museum, reminiscent of its airfield history and enhancing the experience of users and the local community. 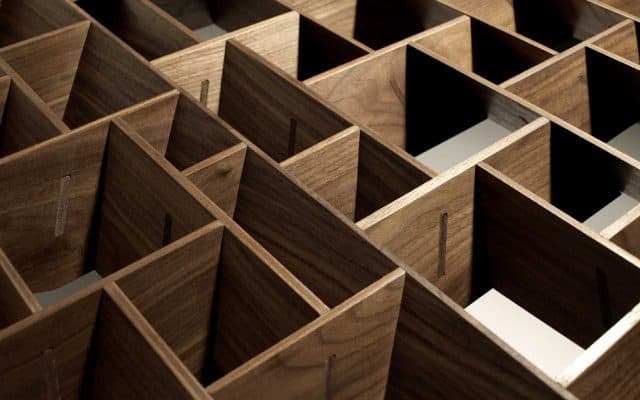 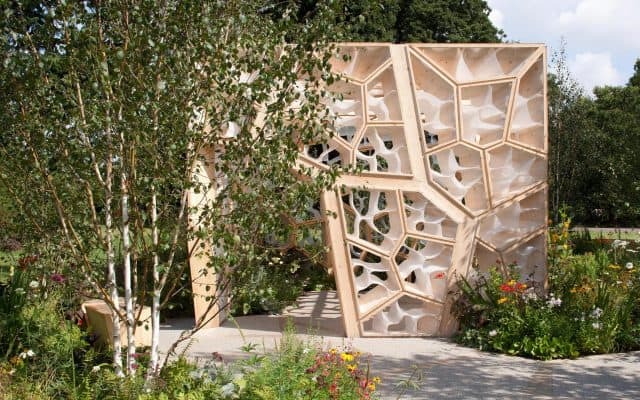 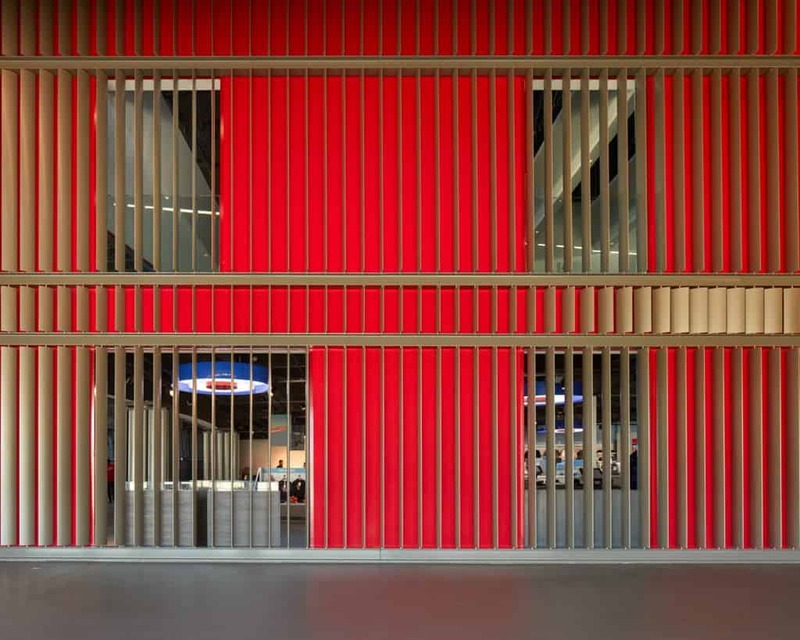 A circular ‘taxiway’ connects all exhibition spaces and facilities, encouraging visitors to explore independently and in their own time. 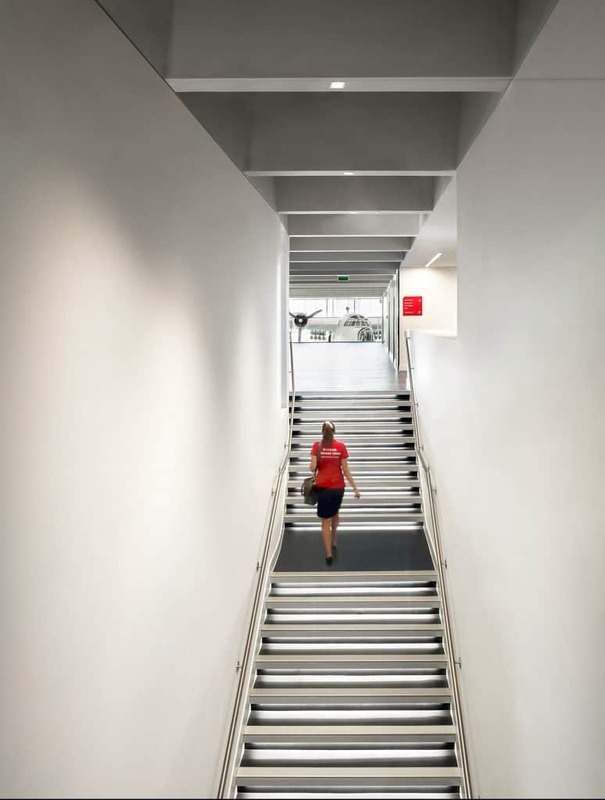 A strong emphasis is placed on accessibility, with flat, clearly defined pathways making navigation simple and intuitive. 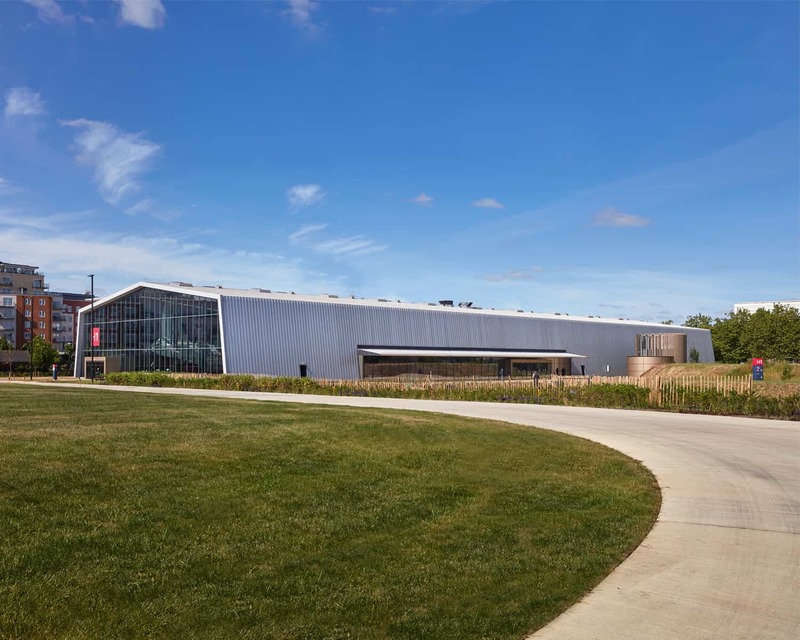 Nestled amongst the green space, our largest architectural intervention is the refurbishment of a large-span, single roof Hangar from the 1970s, that has been repurposed as the museum’s new entrance and visitor centre. 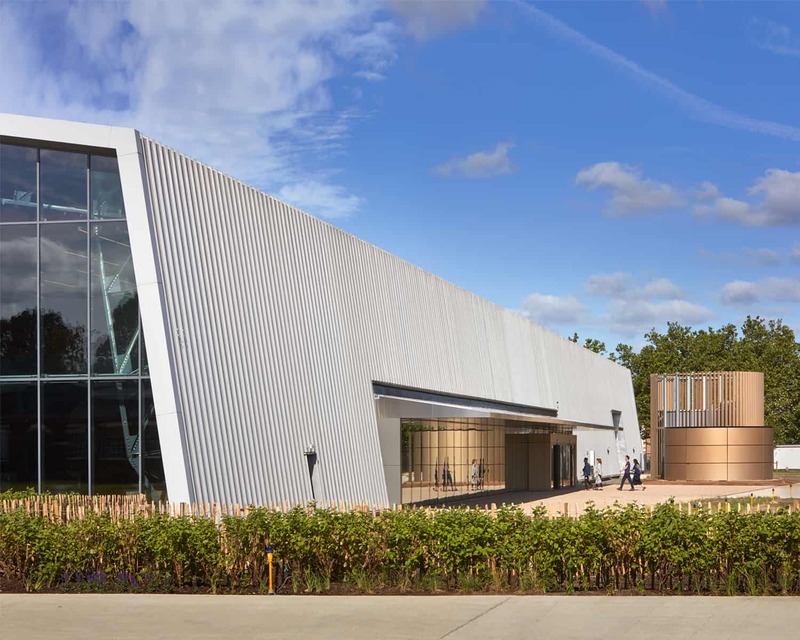 While the aluminium clad exterior retains its otherwise simple appearance, a dramatic new 40-metre-long entrance with a deep cantilevered roof canopy to shelter crowds both act as an absorbing welcome and orientation point for all users, hinting at the drama within. 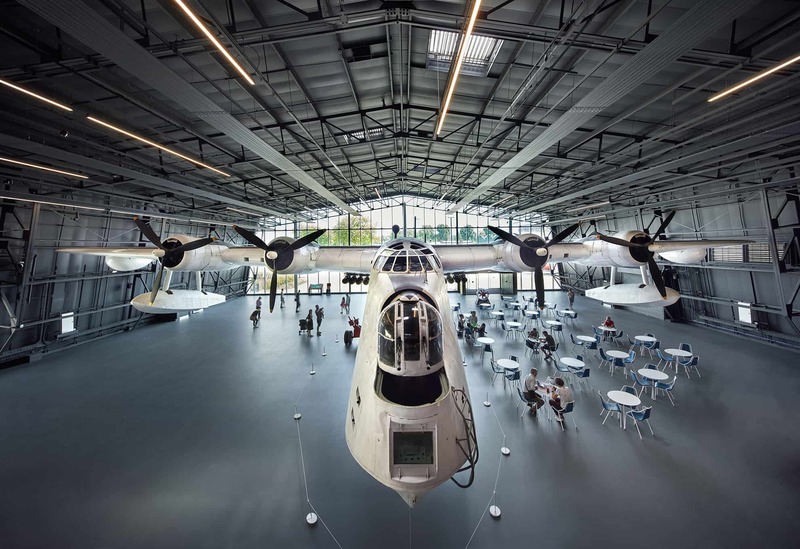 The refurbished hangar contains impressive new display and event spaces – and includes a huge Sunderland flying boat that was too fragile to move during construction. 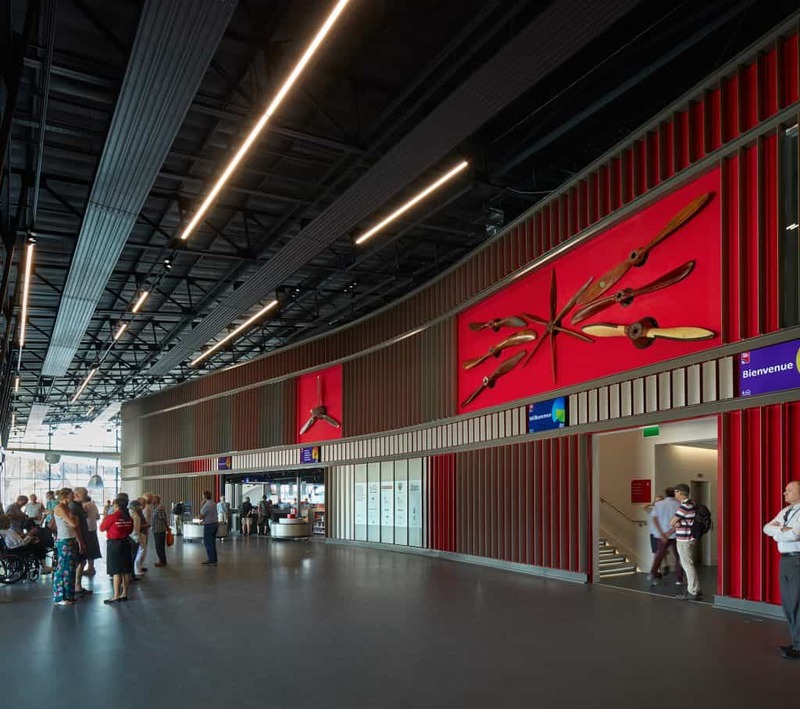 Nex reconfigured the space around this, while focusing on improving visitors’ understanding and orientation within the hangar and across the site. 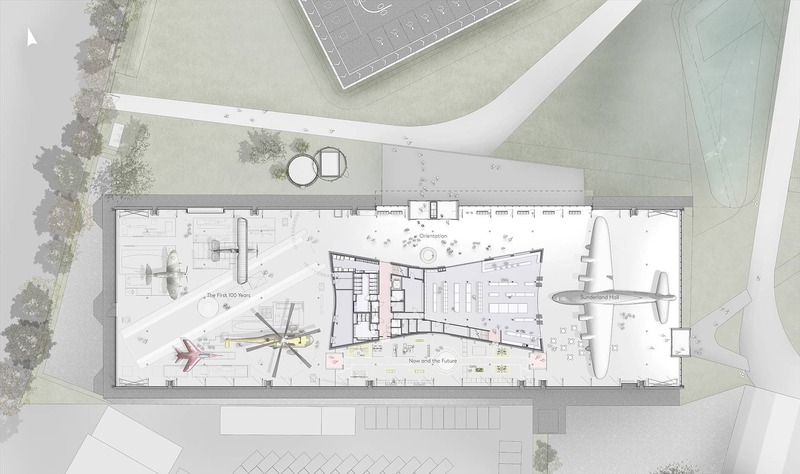 Within the hangar, a new visitor pavilion contains a range of functions: a shop, café and WCs on the ground floor, with a members’ room and flexible spaces for events and meetings above. 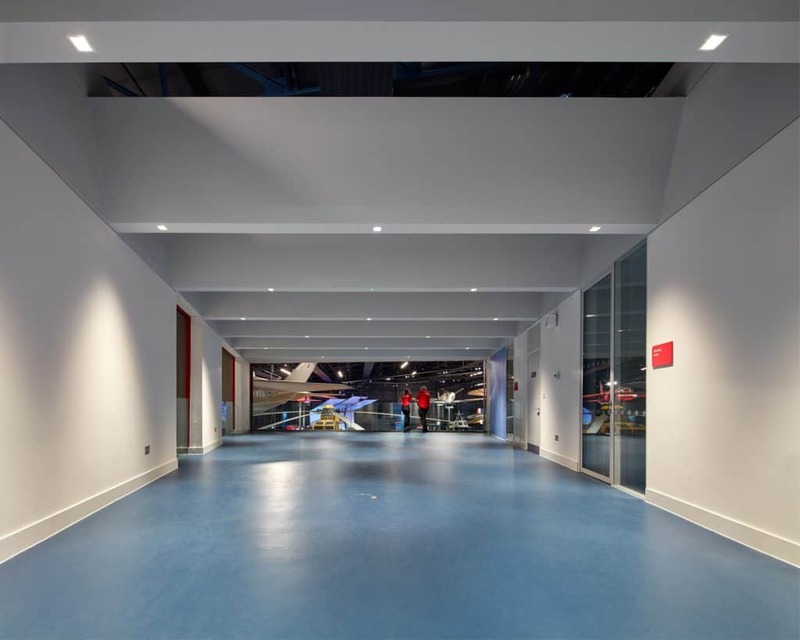 The pavilion itself creates a natural circulation route, and is a stylish and contemporary backdrop to the hangar’s impressive displays. 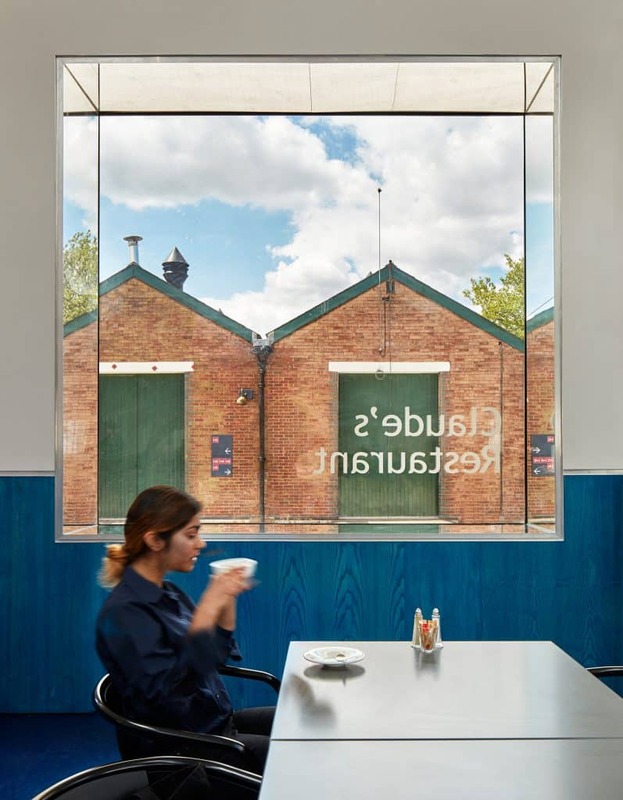 Across the museum field, We also restored and refurbished a 1930s RAF supplies building to create a spacious and attractive 170-seat visitor restaurant. 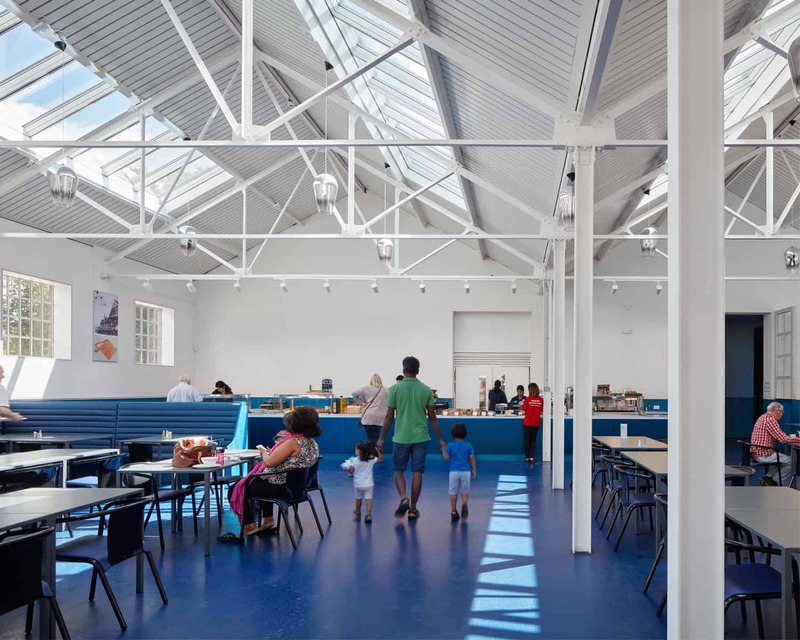 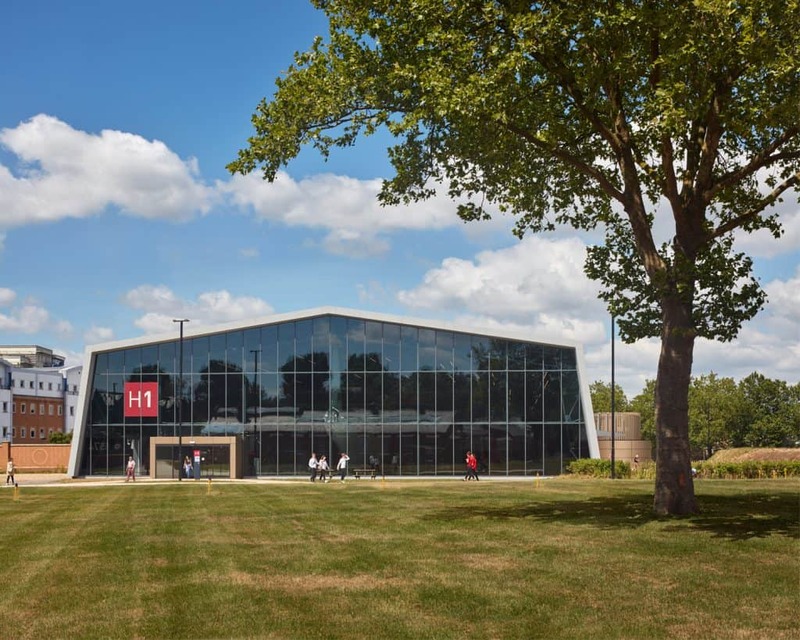 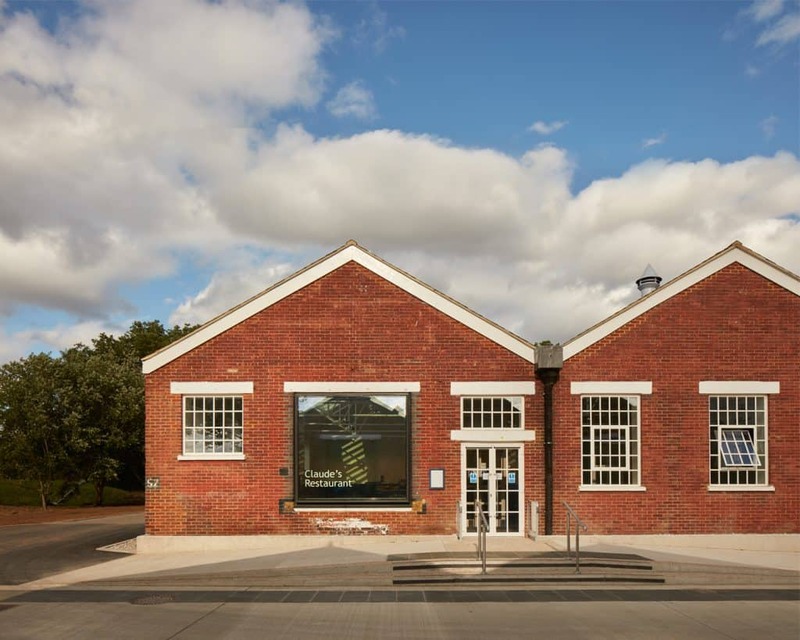 This has transformed the RAF Museum’s catering, while the project to bring a previously derelict building back into use was welcomed by Historic England. 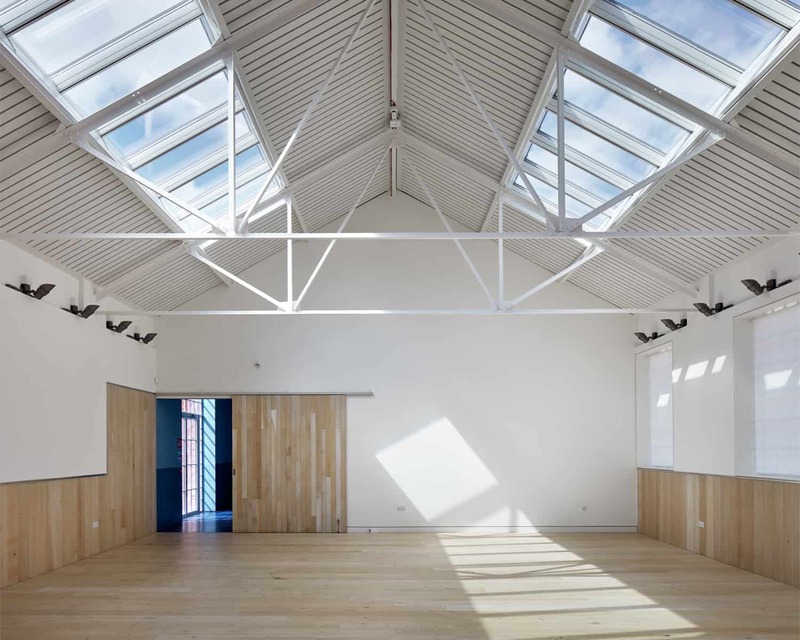 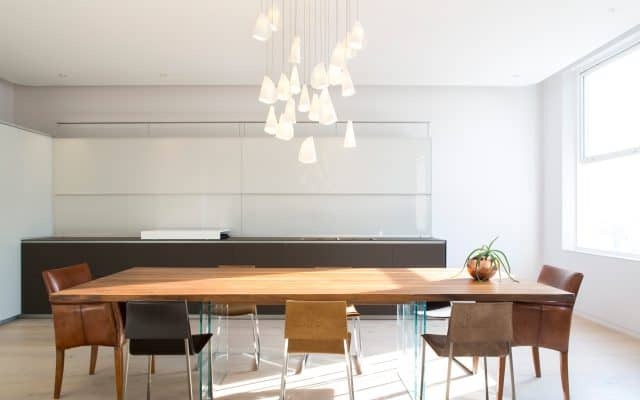 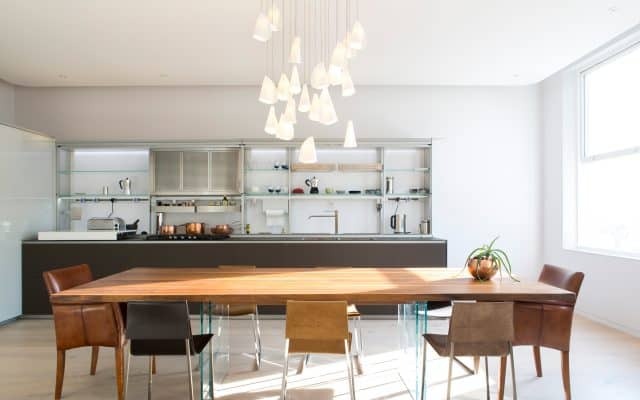 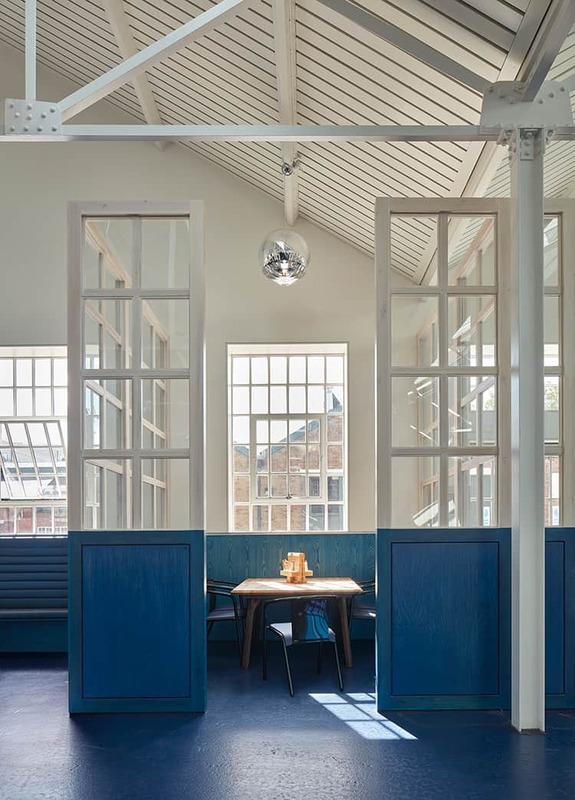 The original brick walls and steel roof trusses were carefully restored and complemented at with new ash panelling and seating.